Your customers want to customize their products to their unique needs. Why limit their choices, when you can offer more, with less effort? Certusoft CLIK Technologies empowers your enterprise with a single, unified technology foundation that creates value for your customers and increases profitability by harnessing the power of design automation. A single software technology supports customers, engineers and operations. Customers connect with products on a personal level by customizing and immediately visualizing their choices in full 3D-display. Engineers work easily and efficiently by instantly inspecting and visualizing their product designs and assemblies, free from the drudgery of CAD manual tasks. Manufacturing can offer extreme customization, yet build with the least part variance. Operations are streamlined with one overarching flow from product quote to ERP hand over. Chassis of commercial vehicles automatically reconfigure to different truck body lengths. 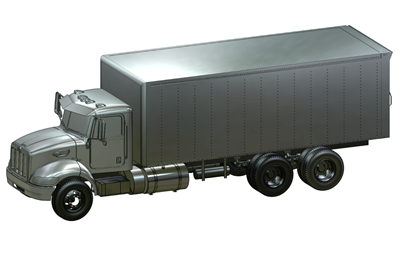 Bodybuilders can order truck chassis that have the correct length and hole patterns, reducing the need for hands-on rework after the chassis is received. CLIK-3D-Layout and CLIK-Driveline Optimizers autonomously compute the optimal layout and driveline of vehicle chassis and bodies on the Certusoft cloud. 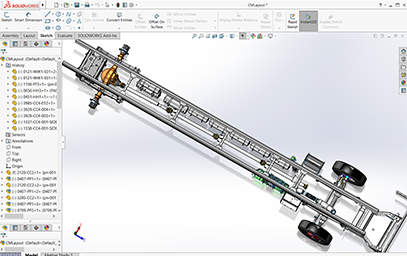 CLIK-Technology creates a native CAD from optimized design in SolidWorks®, PTC Creo® and Siemens NX®.